Let’s face it: When your house goes on the market, you’re not only opening the door to prospective buyers but also sometimes to unknowns vendors and naive or unqualified buyers. As with any business transaction, there is an expected protocol to how sellers, buyers and their respective agents interact. Should you find yourself in a sticky situation, alert your agent so he or she can address and remedy the problem. When we put your house on the market, typically all promotional materials state clearly that we are the primary contact for buyers and buyers’ agents. 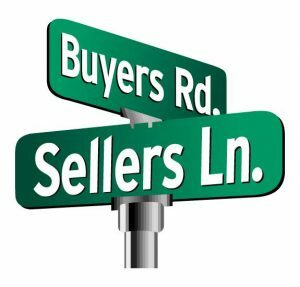 However, sometimes a buyer’s agent will contact ta s seller directly to try to either win over their business or cut the seller’s agent out of the deal. This not reputable behavior and should report it to your agent immediately if it happens to you. Have you ever started a business or moved into a new house and suddenly found your mailbox full of junk mail? Unfortunately, this also can happen when you pur your house on the market. When you sell your home, it necessitates all kinds of new purchasing decisions and less-than-ethical vendors are keenly aware of this. Though MLS organizations enforce rules on how posted information is used, some companies have found ways to pull information from various sources to produce mass mailing lists. If you find yourself regularly emptying your mailboz of junk, let your agent know. He or she can tap the appropriate sources to prompt an investigation into the matter. Yard signs, internet listings and other advertisements can generate a lot of buss for your home. Some prospective buyers – particularly first time home buyers will be so buzzed to see your home that they’ll simply drop by. If this happens, no matter how nice these unexpected visitors are, it’s best not to humor their enthusiasm by discussing your home or giving an impromptu tour. Instead, politely let them know that your real estate agent is in charge of schedule tours and provide them with your agent’s contact information. If you attempt to handle these surprise visits on your own, you might inadvertently disclose information that could hurt you during negotiations down the road.